Phone interview by Rupert White. Many of the early 60's folk guitarists in Soho, like Wizz Jones, were described as beatniks. 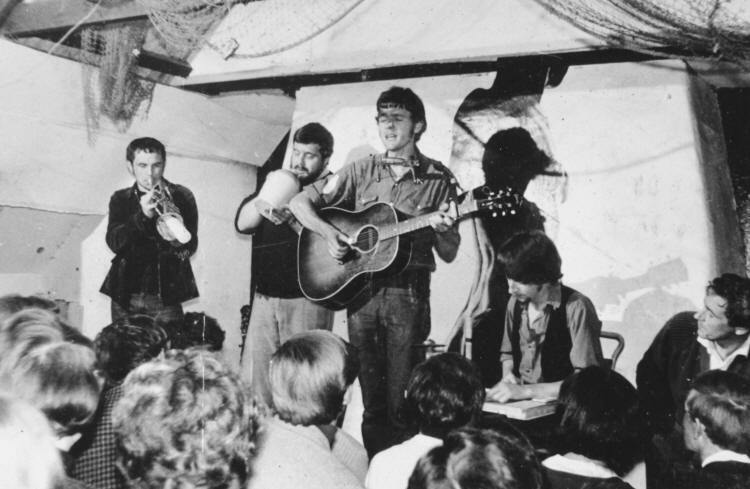 How did 'beatnik culture' affect you as a teenager? Very much. I had a bit of a troubled childhood. And like many boys who come from broken homes I had a dodgy early teenage period until I discovered music. I properly discovered roots in American music when I was about 16. I fell in with the beatnik crowd in Croydon where I lived. The four beatniks I knew were all a couple of years older than me. There was nowhere to go, so some of these fellers got themselves a little flat and I spent hours round there listen-ing to Art Blakey and Miles Davis and people like that, and beginning to be interested in alternative beatnik cultures revealing all the 'mysteries of life' that I too wanted to find out about after abandoning religion and conventional ways of going about things. I'd been in the army as a boy soldier, and I was at art college where I met some lovely like-minded people. But music and the self-imposed discipline of learning to play by listening to records more than having any teachers - there was noone to show you what I wanted to learn - the network, even without phones, led us to each other. I acquired some degree of skill and Wizz noticed me. Wizz was only about 5 years older than me and had been down in Cornwall in the late 50's. Malcolm lived in a game-keepers cottage which was a squat and which had some amazing characters including David Hockney (?) and dropouts from the late 40's who had been living in the deserted cottages in the woods. Malcolm was one of the finest flat picking guitar players I'd ever heard. He was funny and witty, when I saw him in folk clubs later. He was there with his runaway teenage girlfriend encamped in the woods at the bottom of the Heligan estate. How influential was Jack Kerouac back then? I never read 'On the Road' but absorbed enough about it. But my mentor by this time was Woody Guthrie who'd done the travelling for socialist reasons. 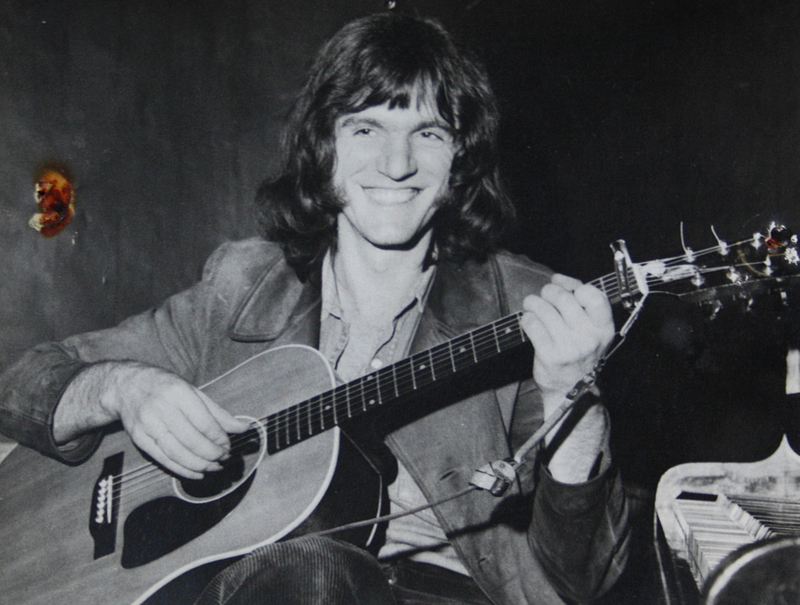 He was a committed union man, so it was a combination of a political view, music, poetry and guitar playing. Woody's message better served my purposes rather than Jack's which was more modern jazz, though I took that on board as well. I still love jazz. I'm one of the few folkies who can genuinely say that. I had lived in a squat in Poole in 1961/62 and I listened to all that music when I was struggling with my guitar playing. Beat culture was education out of school. You had to ponder the poems, and the stories, and the flow-of- consciousness stuff. And Dylan was a student of all that, so when we heard Dylan we got him too. It was going on in other cities: Liverpool, Glasgow and probably Dublin. When Wizz came to Cornwall he was taken to court for stealing a tuppenny bar of soap out of the gents toilets in Newquay. That's how reactionary people were. And liquorice papers around cigarettes: they all thought I was smoking dope in The Folk Cottage! The whole culture gave us an identity, and a discipline, and a more enquiring mind. Did it also inspire you to travel?? My Dad was in the Desert Rats and had been abroad during the war, but none of the rest of my family had even thought of travelling. We hitchhiked everywhere because it was 'noble'. You took the rough with the smooth. Boys had to wait for hours, girls could go anywhere in comparative safety. I hit the road when I was 17 and was still travelling when Wizz invited me to come and play with him in Cornwall. Hitchhiking wasn't frowned upon. You were taking a chance. You didn't know if you would get there, and who you would meet. We'd say things like 'I'll see you in Trieste' and it would take as long as it took to get there. I got as far as Istanbul and would have gone further but I got ill. I didn't even know where I was going. I bought a map that cost sixpence and by the time I got to the South of France it was in about eight pieces: 'No money in my pocket, a cigarette in my mouth no fixed destination but some vague direction South'. I had no wish to sit on the beach. I wanted to keep rolling on and playing my guitar; earning money by busking. I had a ten shilling note when I left England and a ten shilling note when I came back. Wizz and I played in the Mermaid in Porth (in 1966) until we were banned because too many people came. It was a residency that lasted a few weeks. We didn't have a microphone and at first it was extraordinary. People kept pouring in. We were paid three pounds a night. Wizz insisted on splitting it 50:50 but I said 'no - I'm on my own you've got two kids you have two pounds, I'll have one pound'. It was the start of a wonderful adventure. He'd heard there was a folk club (The Folk Cottage - picture above) up at a barn in Mitchell and it was like an old-fashioned sing-a-long. All the artists sat on the stage: Brenda Wootton, John The Fish, John Sleep and John Hayday, and they sang songs one after the other. I found a caravan at the back of the Edgecombe Hotel which had been standing there for years, and we made an offer to the bloke who owned it. He said I could take it away. One sunny day John Hayday towed it to Mitchell where it was illegally parked in a field. It leaked. It had a roof made of hardboard and canvas. It had no brakes, it fell off the trailer once and went flying down the road. There was no traffic in Cornwall in those days and we were able to pull it out of the ditch and drive it on. What sort of things did you play at the Folk Cottage initially? Almost exclusively American stuff, based on how interesting it was to play on the guitar. My preferred style was finger-style guitar playing which is more intricate than flat-picking. It was songs by Patrick Sky, Tom Paxman, Bob Dylan and some old blues things. But I was also playing a couple of Bert Jansch songs. He was always one of my guitar heroes but at that stage we hadn't yet become close friends. I'd just begun writing my own songs. One of the regular musicians, John Sleep, had a friend called David Dearlove. David wrote songs, and had been working for Southern Music, I think as a publisher and he dropped out of the rat-race and moved to Cornwall to become a postman. He found The Folk Cottage and began to contribute songs to the repertoire of John Sleep and John Hayday. One day he asked if one of the songs I was playing was my own. I had started writing it in Paris before I'd come to Cornwall. He said 'its rather good you should send it to someone'. I sent a bunch of songs to Essex music which is where David recommended. They were dismissive really but they said 'keep us in the loop'. Then I wrote 'March of the Emmetts' which happened to be recorded. The audience responded really well and there was a lot of laughter on the recording, and it was laughter I think that helped me get the contract with Transatlantic Records a year or two later. At around this time I formed a jug band (picture top) because I couldn't find anyone good enough to play proper instruments. But my friend Henry Bartlett, who introduced me to tons of music, played the jug and another guy who was a kitchen assistant in one of the pubs in Newquay - who was a great character - called Micky Bennett. I gave him a washboard and tried to teach him to play, but frankly he was the worst washboard player in the world! But the effect was so funny on stage. We've got loads of tapes of people just roaring with laughter at the antics. It was fantastic. That was 67 - just. Talking about your early songs, there are a few that were inspired by Cornwall..
'The Mermaid and Seagull' was the most famous one. It was requested all the time. It's a whimsical fantasy about getting bored. It's a song about people sitting about talking rubbish in a pub, and me going out and wandering off on my own and imagining that I can hear the mermaids and brass bands and all those Cornish things as I strolled along the beach. It was so popular, and so it appeared on the first album, together with a bunch of songs which David had heard me play. In 1967 I had a little boy called Sam but it (the caravan and Folk Cottage farm) was entirely unsuitable for him. That summer was idyllic. It was the summer of Sergeant Pepper album, the revolution had taken hold and the music was incredible. I was about to make my first album. There was a sense of change in the air and a true feeling that music was helping to change the world. I first heard Sergeant Pepper on a portable stereo gramophone up under the cliffs in Newquay. Somebody had bought the album and we were sat there listening to it with our mouths open. With a baby son now it was clear I had to do something else. There were no flush toilets at the farm. There was a milking shed a portable Elsan and one cold water tap. We were placed on an emergency housing list, and we moved back to Croydon where I got a council flat with my wife and son, and I applied to start teacher training. Though I didn't have enough qualifications I had some 'history', and they had a policy that if you were an interesting person you could add something to the college culture by being a bit different. I had good intentions, though I was slightly depressed about it having had so many years of freedom, but suddenly I found that I was getting gigs and I was trying to do the two things. Travelling round the country and then getting back in the early morning and going on to college, I was falling asleep in class. At the end of the first year I said to my wife: 'what do you think?' and she said 'well you've got to do music'. Can you say a bit more about the music industry then, and some of the other influential people that were around? Jimi Hendrix was exceptional. Jimi, in any generation, would have been a genius. Some people have it - like Charlie Parker and Art Tatum. Lots of black musicians seem to have this gift of music that is disproportionate to the way their lives have been. Its the highest form of music to me. Jimi was beyond reach for most of us. We're artisans, we work hard, we sweat, we learn to play to a degree of proficiency but he could play it without even tuning it up, just compensating with his fingers. What about The Incredible String Band (ISB)? They were the other side of it. They had an incredible influence on us down here because their instruments were very organic, and the roots were fascinating: a mix of American, North African and British plus a heavy LSD vision. They were expanding your thoughts and playing instruments that weren't always in tune, and the harmonies were approximate but there was a spirit there which we found totally elevating. Mates would come round to the caravan and listen to John Peel's 'Perfumed Garden'. We enjoyed the music. I was one of the few who thought that John Peel didn't always get it right, but he certainly got it right as far as the ISB were concerned and we found it all very inspirational. By that time Clive Palmer, the founding member of the String Band had moved to the same field as me in Mitchell, virtually. He took over Willoughby's caravan. Willoughby (the farm-owner) had two years of brucellosis and he was as ill as can be. He managed to keep his 6 cows together, but finally he got beaten and he rented the caravan to Clive, Mick Bennett and John Bidwell, who together formed the band COB. They were n't a great band - but the albums were great. I'm very proud of what we achieved there. There'd been this groundswell. I was there at the right time. Largely word of mouth, but don't forget there was this network of clubs. John Renbourne introduced me to a Northern promoter called Wim White and after the first appearance at his club I got six more gigs. I looked at an old diary the other day. I was working 7 nights a week, and travelling in my little GPO van with a ladder-rack on the roof. I was driving all over the country for six quid a night. 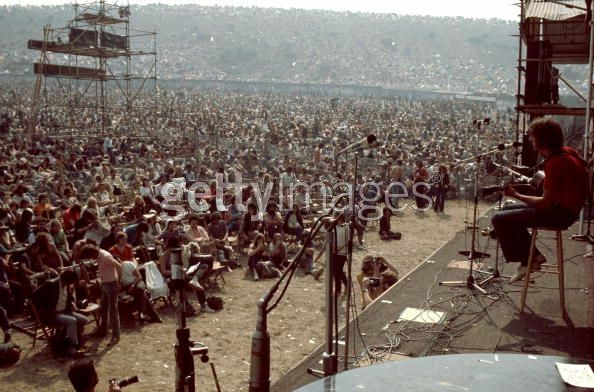 And in 1970, you were put on the main stage at the famous Isle of Wight festival (picture below). What do you remember of that day? The speakers and PA were not that loud - nothing like they have now. The DJ, Jeff Dexter, was sitting on the top of the stage playing records between the acts and I got an encore and I was waiting to be sent back on. My manager was out the front and I thought: 'do I go back? what do I do?'. I was waiting for someone to tell me. Then Jeff put on a record, so my manager rushed out onto the stage in front of 500,000 people and grabbed him by the beard, and nearly pulled him out of his chair! It was extraordinary. I didn't even have a pick-up on my guitar, and I had my lucky shirt on which was a red tennis shirt which I had swapped for a set of strings in Milan. I was ever so glad I did it, but my only regret was that I didn't get to see Jimi Hendrix at the end of the evening because my manager had sensed that panic was setting in, and the crowd was getting more and more restless. I had to wait a very long time to see how intense people felt about the music. It was the end of something. I saw everyone who played the same day as me. I saw Pentangle, Donovan, Moody Blues, watching from the side of the stage. My manager insisted on catching the last ferry back. Bert Jansch was asleep under the stage. I knew Jackie McShee, because she was a Croydon girl, and I used to sing with her sister. She watched show. I knew Danny and John Renbourne by that time. John helped me in the early days. He told people about me. Can you say a bit more about Clive Palmer and COB, and your involvement with them? I think I first met Clive before Cornwall. I have a feeling that, after Wizz and Pete Stanley split up, Clive and Wizz formed a duo and played on 'Country meets Folk', and there are a couple of tracks from the BBC. I met him in London. Wizz and Clive were doing gigs as a duo at the Folk Cottage and they were fantastic - they really were. I got to know him better during '67 when living in the field. John Sleep was a teacher at Newquay Grammar School and he encouraged some of his pupils to get up on stage at the Folk Cottage. Tim Wellard and John Bidwell were a duo and they played on stage at the Folk Cottage before I left. So I knew John as a really hard-working young guitar player, who was determined to get on, and he became quite accomplished and he fell under the spell of Clive, and moved in with Mick. Mick was a bit of a Jack-the-lad character but blessed with this extraordinarily powerful voice for the skinny little whippet that he was! He was influenced by all the music around him. He started writing poems and I like to think that I helped him regarding the basic rules of scansion and stuff like that, and he started reading avidly and, with Clive - let's be frank about this - there were drugs taken. Clive found a soul brothers in Mick and John, and they experimented with time signatures, and they bounced off each other very effectively. Clive has this beautiful simple, almost shaman-like approach to music and art and he's drifted along, carried by music all his life. And there they were, trapped together, living on potatoes through the winter of 67/68 and not much else - dope and hope - and they wrote these songs. And they were strange and rather beautiful. I got my manager of the time, Jo Lustig, to listen to them and he knew that Clive was important because of the ISB and he negotiated a deal with CBS with three acts. One was COB, which I then produced. I must be honest they were so undisciplined - it was a nightmare. Several people told me I was completely mad to do it, but I did have faith in the boys and I'm very proud of what I achieved and the records sold in their thousands all over the world - for which none of us received a penny. All three of the members were otherworldly! I particularly liked John's inventiveness. He made an instrument called a dulcitar which is a cross between a dulcimer and a sitar, so you had a sitar effect without having to spend 20 years learning to play it. So you've got this mystical eastern sound to it: strange harmonies, lots of minor keys, and a biblical influence. Mick is Jewish and he decided he wanted to understand more of the Bible and he wrote these lovely warbling psalm-like songs and Clive put tunes to them and I helped with a couple as well. This mixture of styles I found terribly attractive. I didn't ever expect it to be hugely successful. The titles of the albums we made up. The Tartan Lancer was the name of the off license at the bottom of my road in Putney. And Mick's jokey Jewish title Moyshe McStiff was a combination of Scots tradition which Clive had immersed himself in and a Jewish name, and I threw in the sacred heart to confuse it even further. Some American critics have written pages on the meaning of the title alone! Mick and I still laugh about this now - and one reviewer even read the whole bible before he wrote his first review. It was recorded very intensely over a few days. I had to wing it and trust my intuition. 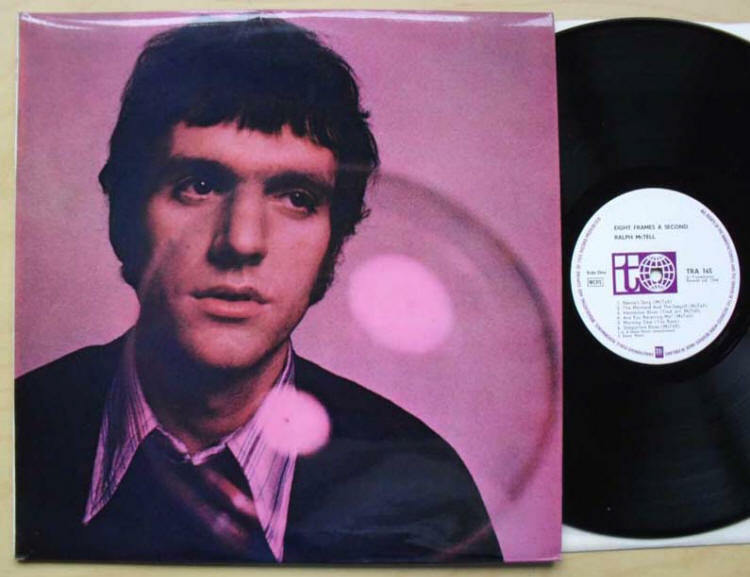 I managed to rescue 'Solomon's Song' on the second album by getting Danny Thompson (of Pentangle) to play on it. He had brought his young boy around to see the recording studio, and I said 'You haven't got your double bass in the car have you?' 'Yes why?' 'This song is a nightmare its got two movements in it and we can't get them to stick together'. Danny roared all over it and helped knit it together, that's how that track came together. On 'Eleven Willows' which is an instrumental I got Genevieve, who was playing percussion rather badly, to sing quietly but she was not at all confident so we had to tweak the vocals, and Bert Jansch recorded it years later.